The rupee also plunged by 35 paise to end at a fresh one-week low of 65.03 a dollar owing to high demand for the American currency from importers amid political upheaval in Saudi Arabia. The weakening rupee against the dollar during the day, too dampened the investor sentiment. Led by pharma stocks, the benchmark Sensex on Tuesday plunged 360 points to end at 33,370.76 as wary investors booked profits amid fears of a flare-up in crude oil prices following the shakeup in Saudi Arabia. However, other Asian markets gained further ground. The Sensex hit an all-time high of 33,865.95 intra-day, before slumping to 33,341.82 in late afternoon deals on across-the-board sell-off. The index finally settled at 33,370.76 points, down by 360.43 points, or 1.07 per cent over its last close. 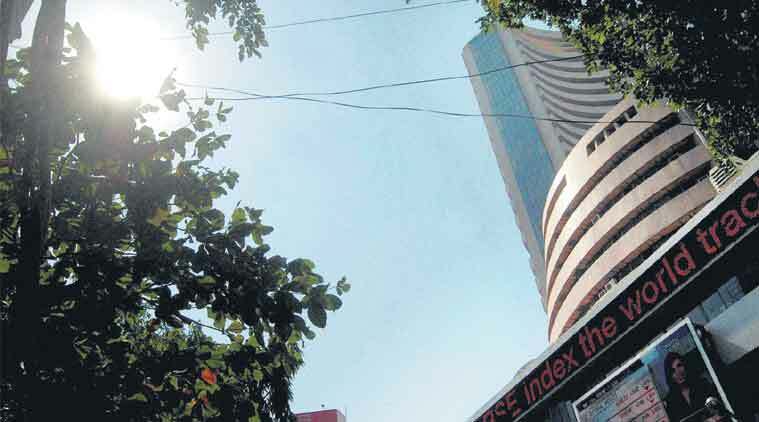 The broader NSE Nifty too dived by 101.65 points, or 0.97 per cent, to close at 10,350.15. Oil prices climbed 3.5 per cent overnight to quote above $ 64 a barrel, the highest since early July 2015, as Saudi Arabia’s crown prince cemented his power with an anti-graft crackdown which sparked fears of fresh geopolitical tensions and disruption in crude supplies. A spurt in oil prices can trigger a fresh bout of inflation and spoil the fiscal maths of net energy importers like India. The weakening rupee against the dollar during the day, too dampened the investor sentiment. “Political disturbance in Saudi is triggering high volatility in the crude prices, which is negative for India leading to depreciation in INR. Additionally, continuous negative observations by USFDA on high quality Indian pharma companies are leading to a downgrade for the sector,” said Vinod Nair, Head of Research, Geojit Financial Services Ltd.
Drug firm Lupin was the worst performer in the Sensex pack, crashing 16.84 per cent to close at its 52-week low after the company said it has received warning letter from the US health regulator for its manufacturing facilities in Goa and Indore. Rival Cipla too faced selling pressure and slumped 7.18 per cent and Sun Pharma 2.50 per cent. Other laggards included SBI, Bharti Airtel, RIL, Sun Pharma, ONGC, Tata Steel, Tata Motors, Bajaj Auto and Asian Paints.